Social Security is facing serious long-term financial problems. When given a choice on how to fix them, 53 percent of adults said they would rather raise taxes than cut benefits for future generations, according to the poll. Just 36 percent said they would cut benefits instead. 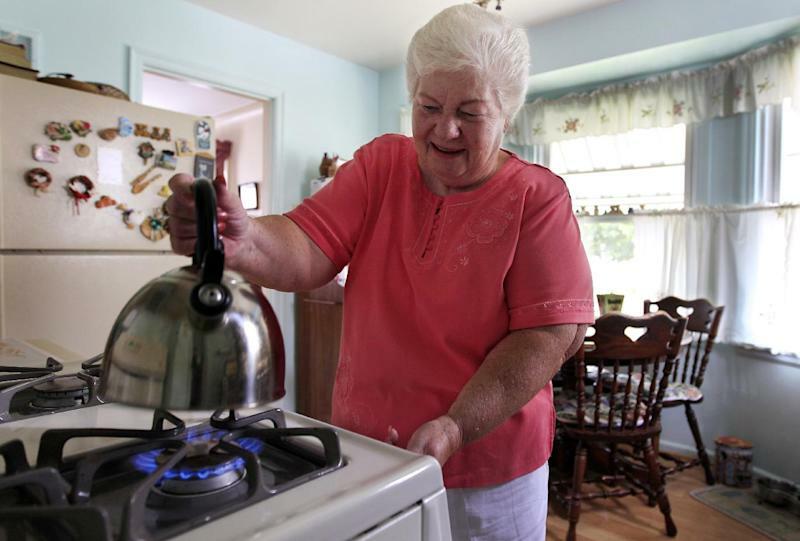 "Right now, it seems like we're taxed so much, but if that would be the only way to go, I guess I'd have to be for it to preserve it," said Marge Youngs, a 77-year-old widow from Toledo, Ohio. "It's extremely important to me. It's most of my income." Social Security is being hit by a wave of millions of retiring baby boomers, leaving relatively fewer workers to pay into the system. The trustees who oversee the massive retirement and disability program say Social Security's trust funds will run out of money in 2033. At that point, Social Security will only collect enough tax revenue to pay 75 percent of benefits, unless Congress acts. In previous polls, Democrats have typically scored better than Republicans on handling Social Security. But the AP-GfK poll shows Americans are closely divided on which presidential candidate they trust to handle the issue. "He at least gives the appearance of trying to help people that aren't super rich, and Romney doesn't," said McSwain, who works part time selling real estate. "Barack has already shown he's going to give anything free out to everyone he possibly can, so I'm going to have to go with Romney on that one," said Victory, a 26-year-old electrician. Romney has said he favors gradually increasing the retirement age, but he opposes tax increases to shore up Social Security. For future generations, Romney would slow the growth of benefits "for those with higher incomes." Obama hasn't laid out a detailed plan for addressing Social Security. But during the 2008 campaign, he called for applying the Social Security payroll tax to wages above $250,000. It is now limited to wages below $110,100, a level that increases with inflation. Obama says any changes to Social Security should be done "without putting at risk current retirees, the most vulnerable or people with disabilities, without slashing benefits for future generations and without subjecting Americans' guaranteed retirement income to the whims of the stock market." The options for fixing Social Security fall into two broad categories — raising taxes or cutting benefits, or some combination of the two. But there are many options within each category. For example, raising the retirement age is a benefit cut for future generations, because they would have to wait longer to qualify for full benefits. "Raising taxes, especially on the people that provide the jobs for us, is not an option because what you do there, you discourage promoting jobs," said James Taylor, a 68-year-old retiree from Golden, Miss. "I think of Social Security as an investment, as a public investment almost, something more communal," Tellez said. "I feel like I would want to invest in that." About three-quarters of the public believe Social Security is an important issue, though there is no consensus about whether people will be able to rely on it throughout their retirement. 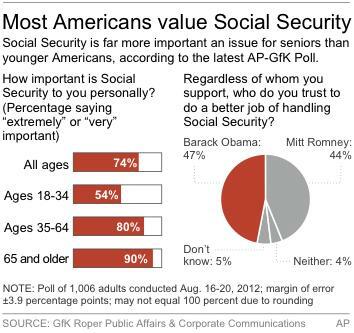 Only 30 percent said it was very likely or extremely likely they will be able to rely on Social Security. Among people younger than 35, just 20 percent believe Social Security will provide income throughout their retirement, while 55 percent of people 65 and older said the same. "I'm not planning on it at all, honestly," said Victory, the 26-year-old electrician. The poll involved landline and cellphone interviews with 1,006 adults nationwide. Results for the full sample have a margin of sampling error of plus or minus 3.9 percentage points. AP News Survey Specialist Dennis Junius contributed this report. EDITOR'S NOTE _ Few issues directly touch as many people in the United States as does Social Security. In this last installment of a four-part series, The Associated Press examines public attitudes about how best to shore up Social Security's long-term finances.